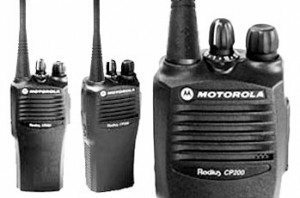 Radio Communications is your Authorized Dealer for all Motorola, Vertex, RAM Mount, and SoundOff Signal Products! Radio Communications offers two-way radio rental. If you need two-way communication for a specific event, hunting trip, or training exercise, our rentals are an excellent option. If you’re not ready to buy, renting two-way radios is a great, budget-friendly way to meet your short-term communication needs. The CP200 offers features such as powerful audio output penetrates noisy environments, providing clear, crisp audio at any volume. A lightweight, ergonomic design makes this radio comfortable to carry and operate.